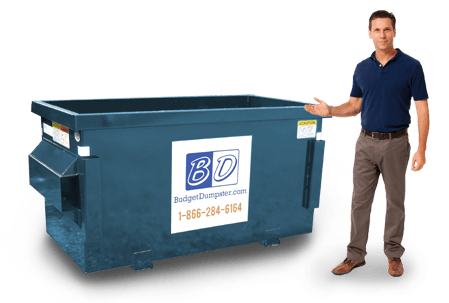 When you put Budget Dumpster in charge of your trash pickup, you are putting the best waste hauler in the country on the job. We take great pride in being able to provide a superior trash collection service that doesn't compromise where it counts. We cater our service to each individual customer and we are always responsive when a request is made for additional pickups or to make changes to our established collection schedule. After all, our business depends on keeping your business clean. So if you want the highest quality service for your waste stream, just give us a call. We'll take you through our available dumpster sizes, discover which size is right for you, set up a pickup schedule and send you the final contract to sign. After that, kick back, relax with your beverage of choice (non-alcoholic, you're on the clock after all), and bask in the fulfilling sense of accomplishment of having taken care of business. Our trucks are out there five days a week hitting all the stops and making sure that our Springfield customers are well taken care of. Each truck is equipped with either a front or rear-mounted lift that makes short work of any amount of debris. 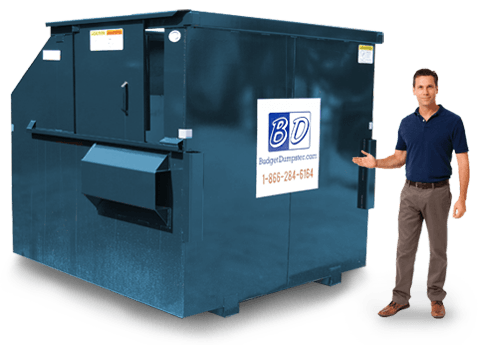 Regardless of whether you have a small 2 yard dumpster or a big old 8 yarder on your property, our drivers will be able to empty it within just a few seconds. All you need to do is keep the dumpster clear and our guys will make short work of your trash. The 2 yard dumpster, though small, can still handle several hundred pounds of debris all in one compact space. These dumpsters are best suited for businesses and properties that have a very minimal waste stream. They are compact enough to fit in just about any space; in fact, it could probably fit in a parking space if you were so inclined to give it its own reserved spot. Just make sure the perks don't go to its head. 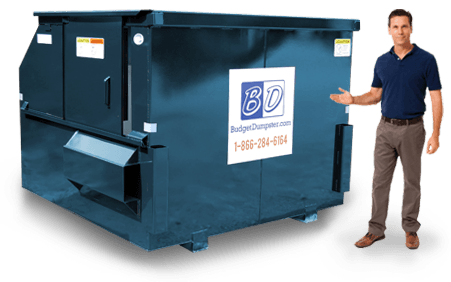 The 4 yard dumpster is a perfect compromise for anyone who doesn't want the burden of a big dumpster, but also has way more trash than a 2 yard dumpster will allow. It can hold a sufficiently large amount of debris without becoming stuffed like a three-year-old's Build-a-Bear. And all of that trash fits within a tight and compact form factor that is easy to place and move around to suit your property's layout. So you took a look at the 2 yarder, decided it was too small for your liking. Then you took a gander at the 4 yarder and you were leaning towards that at first, but then you saw the good old 6 yard dumpster. This baby's got a whole lot of room to accommodate large volumes of trash. It is a perfect fit for many medium-sized businesses that have a moderate amount of waste leftover every week. The biggest, baddest, most trash-consumingest dumpster on the block. 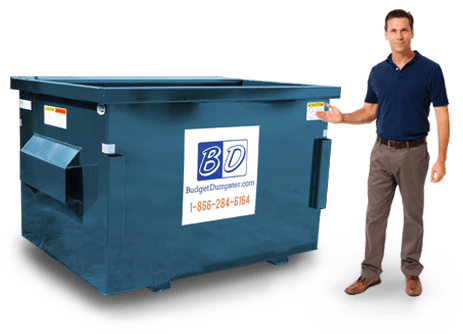 The 8 yard dumpster is the perfect waste solution for those institutions with a large waste stream that requires the disposal of over half a ton of trash on a regular basis. Its large size may be intimidating for those with a cramped parking lot or who see a lot of traffic in and around their office, but don't you worry; we can find the perfect spot for you.